(Austin, TX) April 28, 2014 – Zuma Office Supply, an online office supply store featuring personal service and low prices on office supplies, janitorial supplies and break room products, was recently selected to join the Google Trusted Stores program. To help shoppers identify online merchants that offer a great shopping experience, the Google Trusted Store badge is awarded to ecommerce sites that demonstrate a track record of on time shipping and excellent customer service. When visiting the ZumaOffice.com website, shoppers can click the Google Trusted Store badge and see metrics on the store’s shipping and customer service performance. Zuma now has an incredible 100% rating for excellent service and a 99% rating for on time shipping. As an added benefit, when a shopper makes a purchase at a Google Trusted Store, they have the option to select free purchase protection from Google. Then in the unlikely event of an issue with their purchase, they can request Google’s help, and Google will work with Zuma and the customer to address the issue. As part of this, Google offers up to $1,000 lifetime purchase protection for eligible purchases. 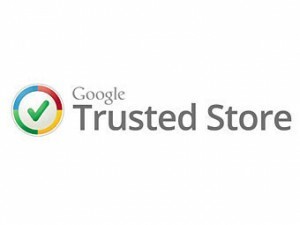 Google Trusted Stores is entirely free, both for shoppers and for online stores. The program helps online stores like ZumaOffice.com attract new customers, increase sales and differentiate themselves by showing off their excellent service via the badge on their websites. Zuma Office Supply is an ecommerce office supplies retailer who provides over 48,000 various office products to businesses nationwide. Through their website www.ZumaOffice.com, they provide next day nationwide delivery for most orders, and have a business model that donates over 50% of annual profits to ten awesome nonprofit organizations. Zuma is headquartered in Austin, TX. To learn more about Zuma Office Supply, visit www.zumaoffice.com, email customerservice@zumaoffice.com, or call toll free 877-473-4097. To learn more about how Zuma gives back, visit www.zumaoffice.com/charities. This entry was posted in Product Information, Zuma Info and tagged google, Google trusted store, GTS, office products, office supplies, Office Supplies Online, Zuma, Zuma Office Supply. Bookmark the permalink.